We STILL need a place to call home﻿﻿! ﻿It has been twenty-two years since the Lane Cove Dramatic Society was formed as part of the Lane Cove Centenary celebrations. In that time we have been committed to transforming various venues around Lane Cove into what is now known as the Lane Cove Theatre Company: a thriving theatre community, a training ground for young performers and theatre technicians, and a hub for neighbourhood-based theatre and arts events. Committed to building a cultural community with artists and their talents at the helm. 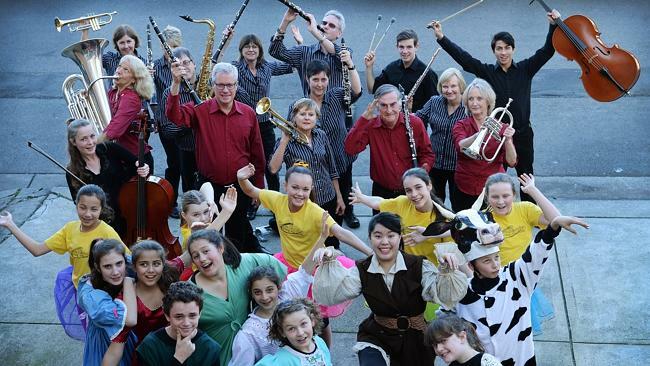 Lane Cove Theatre Company has for twenty years worked to imagine a thriving cultural neighbourhood in Lane Cove, with diverse, scattered artistic venues ranging from schools to community halls. This shows flexibility and adaptability and tremendous community spirit, which has been recognised and rewarded by Council and many others. The organisation is now a vital part of the Lane Cove community. Working in a non-profit model has meant that the LCTC is constantly working on funding solutions. Now, we stand at a crossroads. As Lane Cove is in a unique stage of growth and development, we all need to think about the kind of cultural life we want to support and foster in this unique community. Here is where you can help! Theatre is about space and time. Lane Cove has a rich history of bringing seasoned performers, brilliant and challenging works, culturally rich and often funny works to the stage. Time has been kind and at twenty, the company has matured into a well-oiled machine, committed to high production values, creating meaningful theatre and firmly embedding itself into the fabric of Lane Cove. What we don’t have, is space. The tireless and hard-working Executive Committee is passionate about supporting the organisation through the most flexible income mix they can devise —applying for particular grants, running investor events, and depending on a host of committed volunteers. Administrative costs are borne on a shoestring, yet the LCTC spends the vast majority of its budget on the rental of rehearsal and performing spaces. As a community organisation, placing ourselves in the local area is vital for community building. We need a space…a home…a sign that what we do is important, that it belongs, that it is relevant to our community and that it is here to stay. As Lane Cove has recently seen an investment in infrastructure, the many cultural hubs in the community have also seen developments catered towards the needs of their individual organisations. Lane Cove Council is currently considering a range of new developments in Lane Cove - and the Performing Arts community want a firm commitment from Council to establish a dedicated performing arts space in the community. Council recently decided that a performance space would NOT be incorporated into the proposed Rosenthal Ave development. However, they did agree to consider other options! So, we sit and wait .. again! Hopefully not for another 20 years for Council to make some progress on this matter and set aside a dedicated venue. If we want Lane Cove to be a vibrant, engaging cultural space, then we need to invest in it. Lane Cove Theatre Company strongly supports the development of a theatre/performing arts space in Lane Cove for the whole community to use. A purpose built theatre is that cultural space, not just for LCTC, but built for all of our community to own and use. Let’s make a commitment to engaging our wonderful community in its own unique and diverse culture, art, performance and theatre. This is the moment. Twenty years for LCTC. A unique moment of development and progress in Lane Cove. The time is right. The place? Please support our call for a permanent performance space to be built in Lane Cove by visiting and signing our online petition. Your support is greatly appreciated.